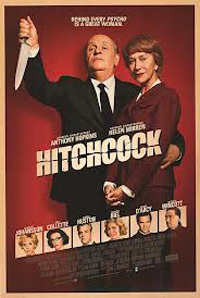 With a highly successful career up until the the acclaimed North By North West right at the end of the '50s, word floated that maybe it is time Alfred Hitchcock “the master of suspense” retired while he's on top. So, while looking for his next project, in reaction the feisty, dry-witted and stubborn director decided to take on a very controversial novel, which everyone (including the studio) thought was a bad and tacky move. The book: Psycho (based on the notorious mother-obsessed serial killer Ed Gein). With his wife, silent collaborator (and limelight deprived) Alma Reville, they take on this lurid adaptation, financing and producing it themselves, against the advice of all (including their own reservations). On top of this the studio was not obligated to release it if they didn't find it to be suitable. It was 1960 for goodness sakes! And it is surprising in retrospect how tame it seems by today's more lenient, desensitized standards. As we all know this has become one of the most noted thrillers of all time and a horror landmark, imitated over and over (and as all groundbreaking art not always met with open arms). This film illustrates the ups and many downs in creating this masterpiece. 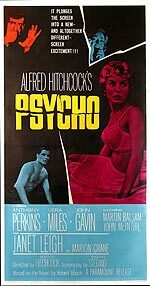 While part of the narrative, it looks beyond the financial and technical issues, but also focuses on Hitchcock and Reville's strained relationship with jealousy high on the agenda (the director obsessed with his leading ladies, and his wife spending time working with a writer friend). Poetic license also comes into play as we see Hitchcock wrestling with the the dark subject matter, the spirit of Ed Gein visiting him and placing him at some of the locations of his gruesome killings, giving him advice and confiding in him. With two hot acttresses like Johansson and Biel, you can't go wrong, but '80s fans will be glad to know that original Karate Kid Ralph Macchio pops in for a single scene as Psycho's screenwriter. Fans of historic figures, biography, cinema in general and Psycho in particular will be pleased with this piece. A few years back I bought a Hitchcock box set and plans to do a regular night and watch them in sequence just never seems to traspire. This film has reignited my desire to do that.